Day 95 – Jacob’s 7th birthday is in a couple of weeks and he has been asking for a bike. Today we took him to choose his bike as we didn’t know what size he would need. He knows it’s an early birthday present, and is over the moon with it. 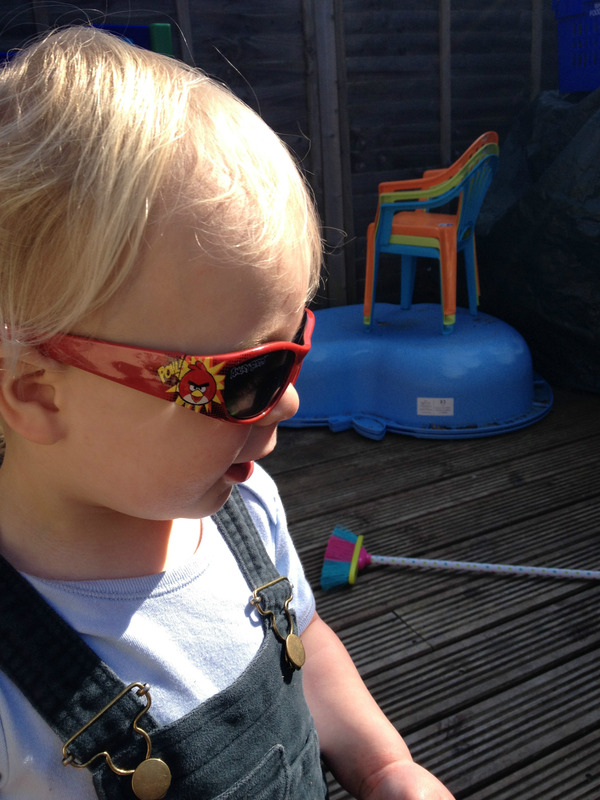 Day 97 – The sun was out and Max was rocking his sunglasses in the garden. 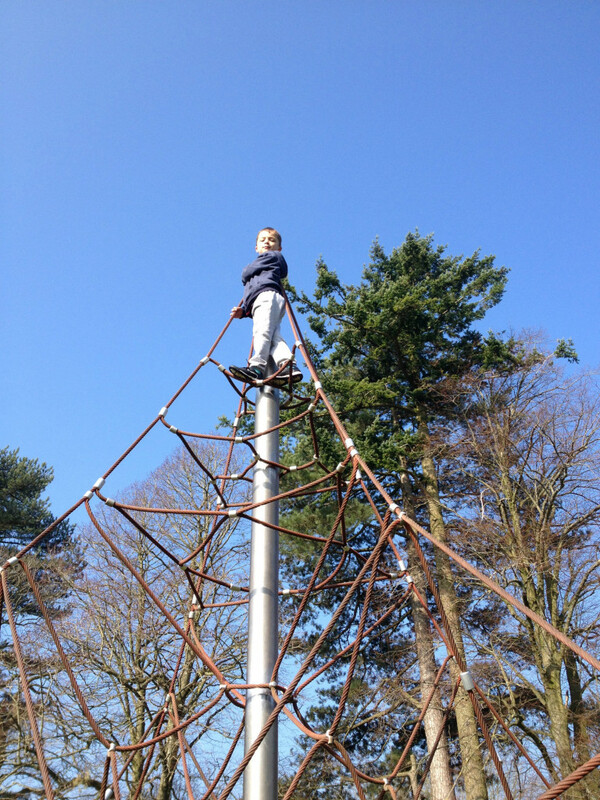 Day 98 – Climbing to the very top of the climbing frame in the park. Can’t believe how blue the skies are! Day 99 – Bubble blowing. 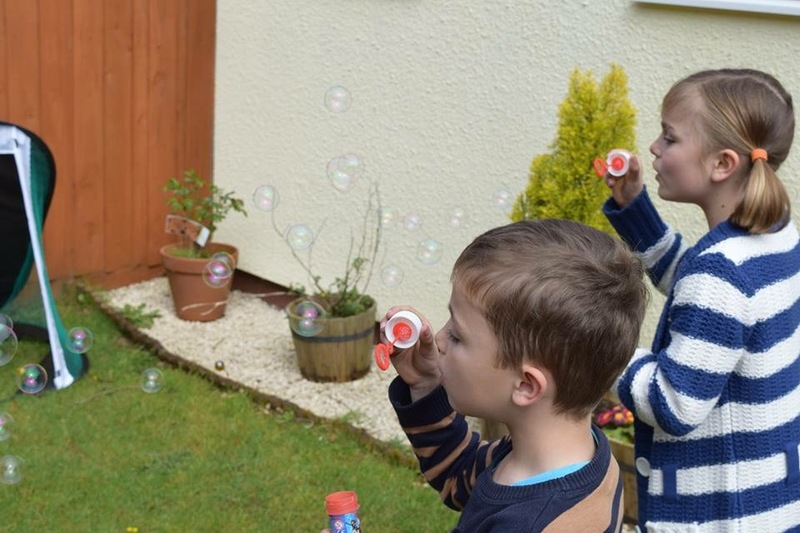 All 3 kids love bubbles, these were 50p bargain pots from Tesco. Hours of fun! 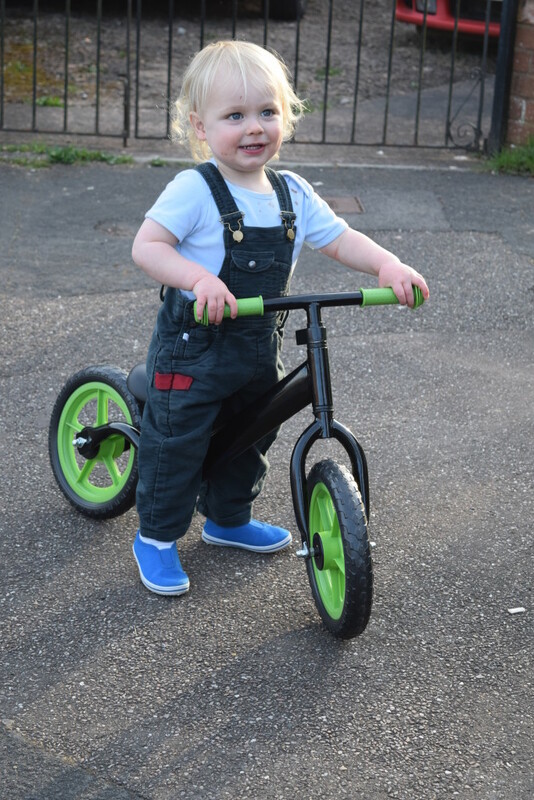 Day 100 – Max’s first bike! I love balanace bikes, and Max has picked it up so quickly. Day 101 – The first curls have been cut. Sob. 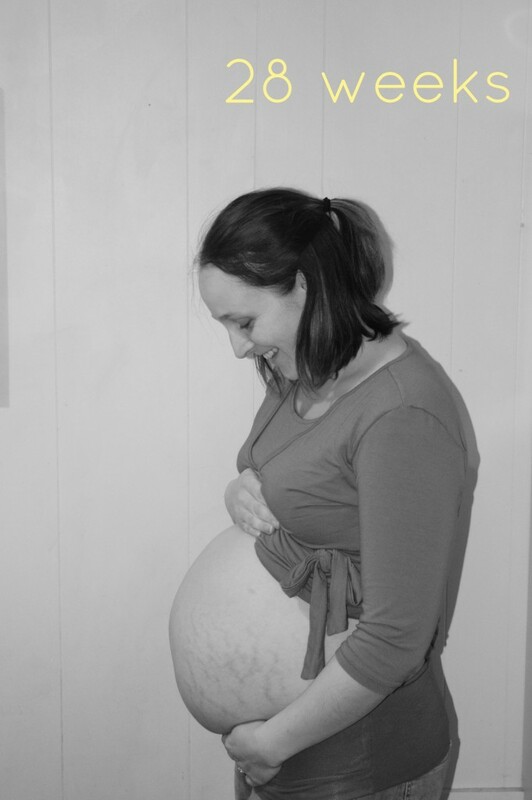 I always enjoy seeing your bump pictures! Awwwww the first curls! That’s so sweet that they bag it up! I’m sure I kept my twos first snip somewhere! A week of firsts for Max this week. It’s very sweet when they hair their hair cut for the first time isn’t it. Awww the curls!! So cute. I don’t want Boo to get her hair cut ever! Love the photos, and that blue sky though that climbing frame looks very high! Love the bubble photos. Whenever we buy cheap bubbles, they’re always rubbish. Must be our technique. 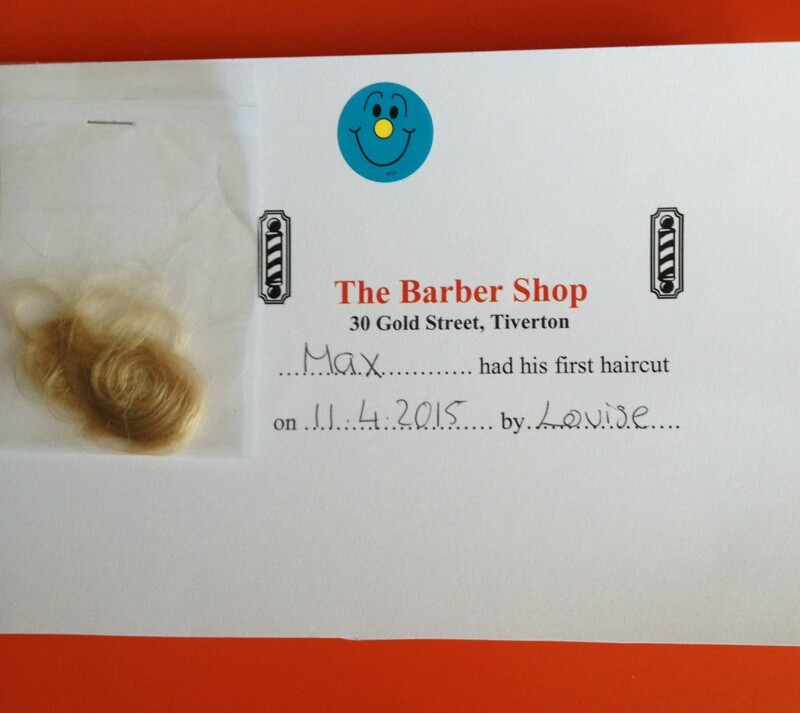 So nice that the barber shop do ‘first cut’ certificates. Really cute. I love the certificate and the wee bag with the curls, it is sad thought that that is another stage of babyhood gone. 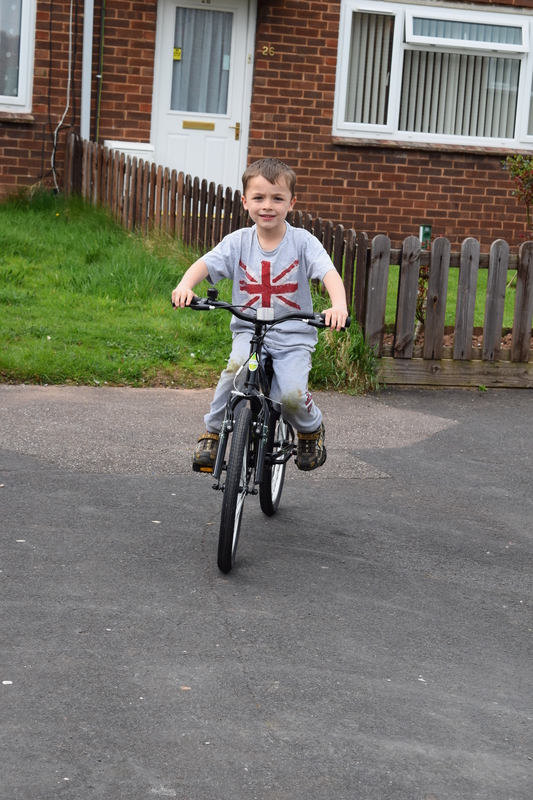 Jacob is managing that bike really well, and I love Max on his balance bike. Great blue skies in your pictures this week, it has been fab hasn’t it.